One excellent way to understand the heart and soul of Portuguese culture is by listening to fado, a melancholic musical style of storytelling that was born in Lisbon’s streets, particularly those of Alfama. Powerful, heartwrenching and haunting, a great fado singer can arrest the senses of their audience and even entrance non-Portuguese-speakers. Alfama’s tiny cobbled streets are lined with restaurants offering fado alongside dinner, but the following suggestions are among the best that Lisbon’s oldest neighborhood has to offer. Tascas are as much a part of Portuguese culture as fado music and wine, offering casual alternatives to restaurants as the perfect spots for simply enjoying a drink or sitting down to a full meal. Tasca do Chico in Alfama opened in 2009 and is the second establishment with the same name (the first, which opened in 1993, is in Bairro Alto). The fado singers are scheduled on the weekends and begin around 9PM, but getting there earlier is a good way to ensure finding a seat. Known for a laid-back ambiance, excellent music and equally excellent appetizers (called petiscos in Portuguese), it is a popular bar in Lisbon and fills up quickly. Some spots truly stand the test of time and Parreirinha de Alfama is one of those places. Reaching over 50 years old, Parreirinha de Alfama is one of the older fado houses in Lisbon and serves an array of traditional Portuguese meals alongside the entertainment. It is also owned and run by a well-known local fado singer, Argentina Santos, who sings regularly and the venue enjoys other fadistas as well. For an unforgettable dinner and show, reserve a table around 9 since the music kicks off at 9:30. From the historic estate where it resides to the rustic decorations, this charming fado restaurant may transport guests to an older place and time while simultaneously winning over palates with modern takes on traditional dishes. The residence once belonged to one of Lisbon’s noble families by the surname Linhares and it is still called Casa de Linhares (House of Linhares) today. The restaurant is now home to one of the top places to listen to fado and be entertained by a few of the city’s more notable singers. Listening to a professional singer can be an unforgettable experience but listening to an excellent amateur can be extra impressive, and A Baîuca schedules fadistas from the latter group. This small restaurant-like bar may be snug but what it lacks in size it makes up for in atmosphere and local talent. As with other popular yet small venues in Lisbon, seats fill up quickly and it’s worth arriving early to ensure finding a spot. 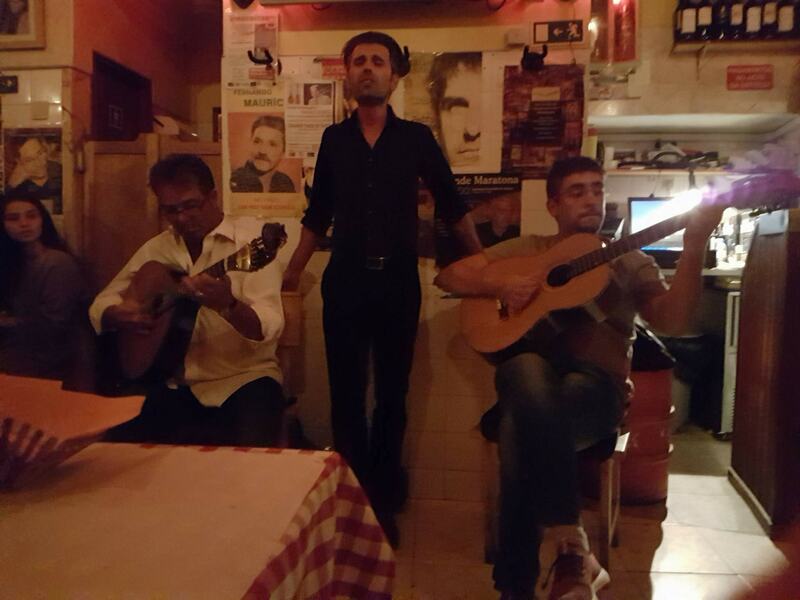 For hearing fado, show up after 9PM between Thursday and Saturday nights. 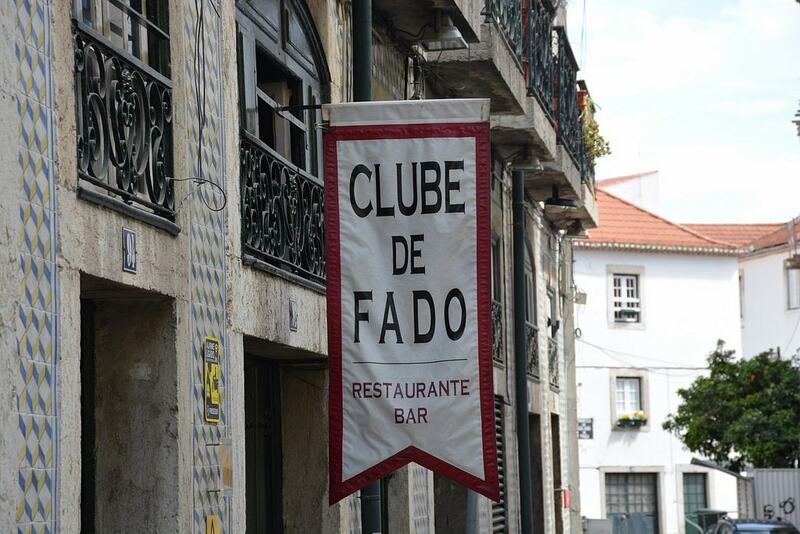 A name like Clube de Fado (Club of Fado) is enough of a hint that this venue is worth visiting and the customer reviews are another. 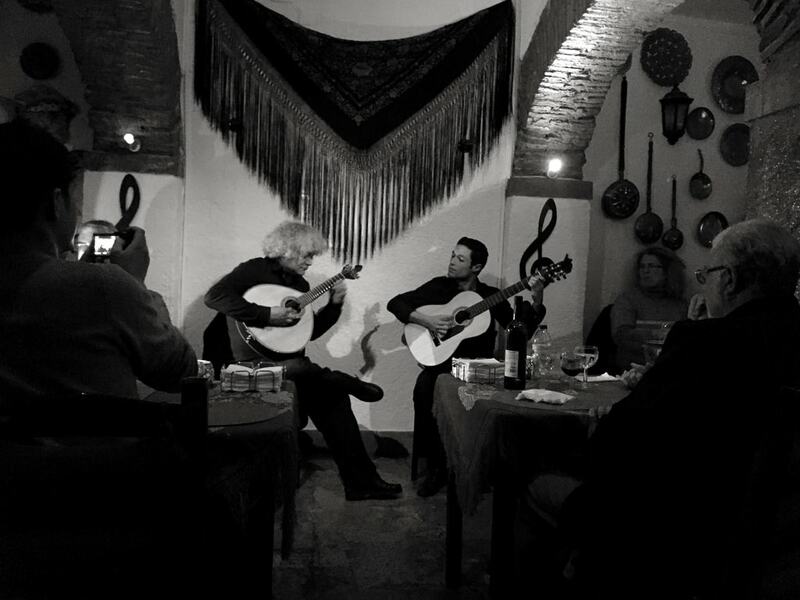 Tucked away in a tiny street inside Alfama’s labyrinth, the Clube de Fado is owned by Portuguese guitarist Mario Pacheco, whose experience includes playing alongside some of the most popular names in modern fado. In addition to the music and meals, guests enjoy the ancient building and surroundings, some dating back centuries. The Páteo de Alfama is a traditional treat served inside the preserved 17th-century palace of the “Lady of Murça”, otherwise known as the Palácio da Sra de Murça, and guests can see the city’s ancient Roman wall from inside the palace courtyard. The highlight at this restaurant, however, is the traditional food and entertainment and the Páteo de Alfama offers two dining halls, one dedicated only to fado and the other mixing fado with folklore. A short walk up the road from Tasca do Chico is yet another fado house that shouldn’t be missed with traditional cuisine and a locally-praised fado lineup. Characterized by a cozy and intimate atmosphere, it’s yet another charming spot to spend a night immersed in Portuguese culture.